The 8hr Pre-Assignment for Security Guards Training course is mandated by NYS for all security guards. 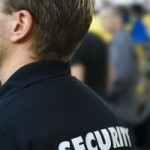 This course is a requirement for all individuals seeking employment as security guards in New York State. All our instructors providing New York State mandated pre-assignment training are certified through the New York State Division of Criminal Justice Services (DJCS)/Security Guard Program (SGP) in accordance with Part 6029 of the New York State Official Compilation of Codes, Rules and regulations. The mandated eight hour pre-assignment course may only be administered by an approved security guard training school in an approved classroom setting. This course requires one hour for review and examination of 50 questions. usually taught in 1 day or 2 evening sessions.